While the polemic around Agony is yet again the proof that people on the Internet have way too much free time, we have been able to play the first 90 minutes of the game. Clearly, we're still far from having seen the worst atrocities, but for sensitive people like us, it was quite the experience already. Sadly, we couldn't record any GSY Offline in English in time, but we have written down our impressions and we have a few videos of the PC version to show you. Now turn off the lights and chin up! Update: One last video added. If you're the sensitive type, turn away, this game is not for you. For what is more than probably the first time in video game history, Agony takes you on a journey to hell which clearly hasn't been as watered-down as what we're used to seeing in the medium. Does it make it a good game? It's too soon for us to tell, but we didn't expect to play this much when we started our French GSY Offline. Without anny HUD to break the immersion and very few indications to tell you what to do, you're literally and figuratively playing in the dark. 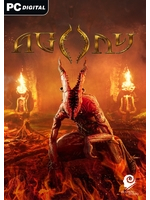 Aside from a few minor navigation problems, when the main character gets a bit stuck from time to time, Agony is not difficult to play from what we've seen. The stealth sequence we tried reminded a bit of games like Alien Isolation, where you must hide and cross your fingers when a threatening creature lurks around. We can't say that's wwhat we prefer in games but it was effective enough, though we should warn you that dying (failing to reincarnate yourself in a nearby character) means you have to start collecting all the key items again. 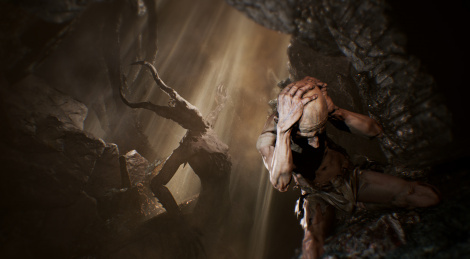 All in all, though it's obviously not a game for everyone, you can see the developers put a lot of efforts in the atmosphere, with striking visuals and a very spooky sound design. The question is now to know if the experience will be "satisfying" enough in the long run and if it won't be too lenghty for its own good.